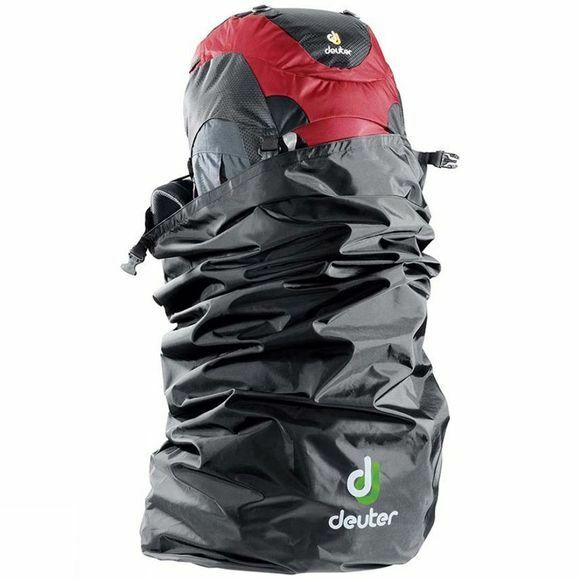 A lightweight, economical flight cover for a backpack up to 115 litre. It protects your backpack, belts, buckles, and straps on flights. Details: roll-top closure with heavy duty Velcro grab handles.